Taipei is emerging from the shadow of Asia’s other grand megalopolises. We take you on a three-day tour of Taiwan’s enchanting capital city. Get a head start on your Taiwanese experience with one of the daily flights EVA Air offers from Toronto to Taipei Taoyuan Airport. evaair.com getting around Clean, affordable, efficient and extensive in its reach, Taipei Metro is an excellent option for navigating the city. Buses in Taipei are also plentiful and the routes easily fill in the gaps. Taxis and Uber are also a great option and easy to find. Do yourself a favour and get an Easy Card, a reloadable, declining-balance card that you can purchase, load and use at transit stations and 7-11 outlets (they are everywhere in Taipei). The list of things other than transit they can be used for is so mind-bogglingly long it’s silly. There are parts of Taipei that are very walkable, but keep in mind that some of the older laneways are on the narrow side. An important reminder for first-time visitors: cars, scooters and other vehicles will assume that they have the right of way over pedestrians. Located in the middle of the busy, central Xinyi District, W Taipei is a stylish and convenient choice. Featuring a design theme of “nature electrified,” the W highlights both the natural beauty of Taiwan and its tech prowess. With gorgeous rooms (some with a Taipei 101 view), a 10th floor outdoor pool, extensive gym, gourmet dining and the very fashionable Woobar, this is a destination hotel for travellers looking for a high-end yet unstuffy experience. Further north in the Zhongshan District, Taipei Marriott Hotel features elegant service and rooms with beds so spacious and comfortable you might be tempted to sleep instead of heading out to night markets. For more budget-conscious travellers, Airbnb has a wealth of clean, well-situated options throughout Taipei with friendly hosts. Taipei is an elegant, charming contradiction: Steeped in tradition yet thoroughly enamoured with the new; heavily influenced by colonialism and also defiantly independent. The cultural, political and economic hub of Taiwan is a bustling metropolis that is surrounded by nature and exudes civility and calm. You will still find plenty of areas that are very densely populated, more than 4,500 high-rise buildings and a 24-hour lifestyle that is infectious. But in Taipei you will also find corners of quaintness, expanses of urban parks and subtropical green hills, ocean breezes and hot springs to temper the hustle just enough. Taiwan calls itself the Republic of China (ROC), and claims independence from the People’s Republic of China. The PRC claims sovereignty over Taiwan, which is referred to as Chinese Taipei, and decades of diplomatic stalemate and a fair bit of ambiguity on both sides adds to the confusion. Taipei is largely Mandarin-speaking, though you will also encounter Taiwanese Hokkien, a dialect of standard Chinese. Cultural influences come from China, Hong Kong, the Philippines, Indonesia, Vietnam and Japan. It all makes sense once you arrive in Taipei and see, hear and taste how history has interwoven these threads to make something distinctly Taiwanese. 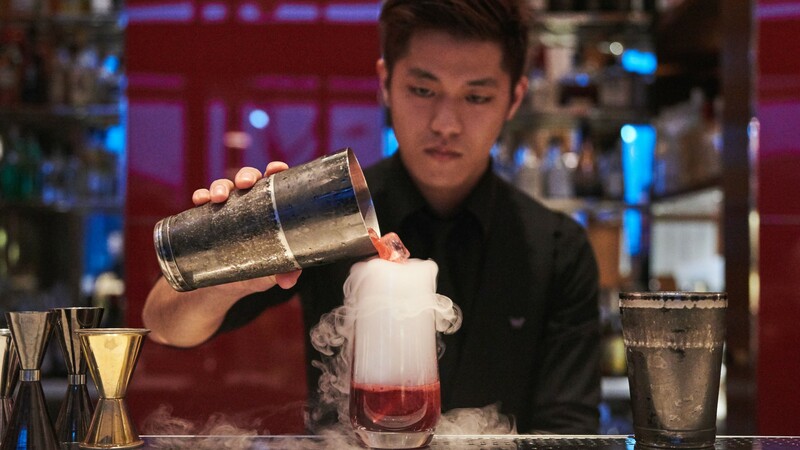 Taipei is a city that loves to eat and drink. If there was a world cup of snacking, the Taiwanese would be odds-on favourites. Taiwanese specialties include ji dan bing for breakfast, traditional beef noodle soup and winter melon tea to beat the summer heat. The people of Taiwan are very open to innovation in cuisine. How else do you end up inventing a drink that is also chewable like bubble tea? A growing farm-to-table movement leads the way in the capital. Taiwan is home to an abundance of agriculture and aquaculture. Everything from tropical fruit, to locally grown oolong tea, pork and fresh-caught seafood dominate menus from market stalls to Michelin-starred restaurants. Brace yourself for a city that rarely sleeps, always eats and whose hospitality will likely make you want to linger a little longer. Get your fix of Taipei breakfast classics at the tiny Ha Ji Dou Jiang in Da’an. This shop near Liuzhangli Station has been family-run for forty years and is all practicality and no frills, but the owner still makes superlative egg-filled shao bing (baked, unleavened flatbread) studded with sesame seeds, plus dan bing (egg-filled savoury crepes) and soy milk. Locals line up throughout the morning either to grab breakfast to go or perched on one of the few available seats. Unexpectedly, great coffee awaits on the lower level of a shopping concourse at Coffee Lovers Planet. Enjoy a single origin cappuccino or siphon coffee at your leisure (it’s not so much a grab-and-go kind of thing) and if their taro mont blanc is available, have one. In the mood for a little political history? National Dr. Sun Yat-sen Memorial Hall in Xinyi District has you covered. Built in 1972 to honour the father of Taiwanese independence, crowds gather here to watch the changing of the guard. If views (or shopping) are more your thing, it’s a short walk to Taipei 101. Once the tallest building in the world, this landmark draws tourists for a view from the observatory on its 89th floor. The first five floors are home to a luxury shopping mall. Shanghai Master Shao Soup Bao in Da’an is a great idea for an affordable lunch. 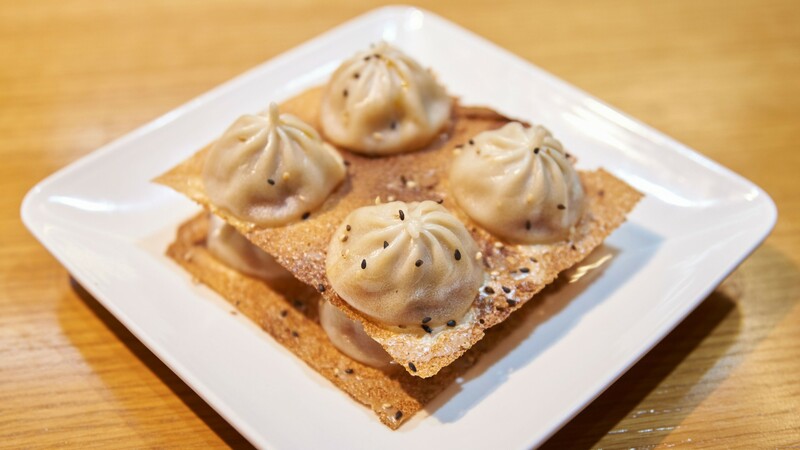 Their crispy pan-fried, tiered soup dumplings are a tasty twist on the classic, and be sure to grab a few of the traditional small plates that start a meal in Taiwan – like boiled peanuts, pickled cucumber or cold noodles. Once a tobacco factory in Xinyi, Songshan Cultural and Creative Park is an architectural trip back in time. A great place to wander in the afternoon, it features local artist galleries and small shops, plus a newer structure with shopping and dining. Bibliophiles won’t want to miss the Eslite 24 Hour Bookstore. This multi-level emporium has an amazing array of books, magazines and design-forward items. For an upscale dinner out, Michelin-starred Mume leads the way with a focus on seasonality and Taiwanese products fused with Nordic principles. Chefs Richie Lin, Kai Ward and Long Xiong have made the ultimate “making friends with salad” move with their Mume Salad – a work of art featuring up to 30 local ingredients. Close your night at the secret hideaway Bar Pun. It seems a little complicated at first (enter through the alley and look for the fire alarm button) but it’s well worth it for the attention to detail in both style and substance, because the drinks are top-notch. After that, it’s a five-minute walk for late night snacks at the Tonghua Night Market. Get up early to beat the really long line (if it isn’t all the way down the stairs and outside, you’re doing well) at Fu Hang Dou Jiang near Shandao Temple Station in Zhongzheng District. They are famous for their soy milk, hot or cold, accompanied by savoury Chinese biscuits. Huashan 1914 Creative Park, a repurposed plum wine factory, features art, shopping, food and pop-ups. 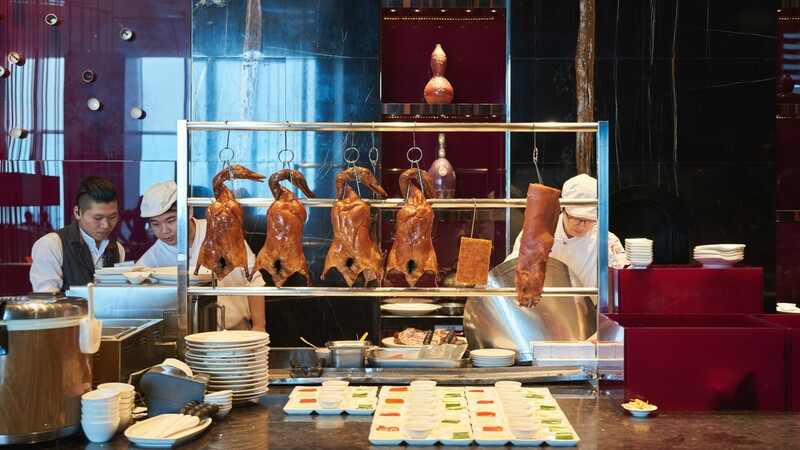 Be sure to save your appetite for lunch at Addiction Aquatic Development to the north in Zhongshan District. This lively complex features ten different areas including a live fish market, standing sushi bar, charcoal grill restaurant and champagne. A trip to the National Palace Museum in Shilin will give you a chance to wander off some of your lunch, and immerse yourself in culture. It is home to one of the world’s largest collections of ancient Chinese artifacts, most notably, large pieces of jasper carved to look like cabbage and pork belly (again, that obsession with food). By now you may find yourself in need of a little R&R, and you’ll definitely need to recharge your battery for tonight’s adventure. Fuel up first at Fika Fika Cafe, an oasis of Scandi design in Neihu District. 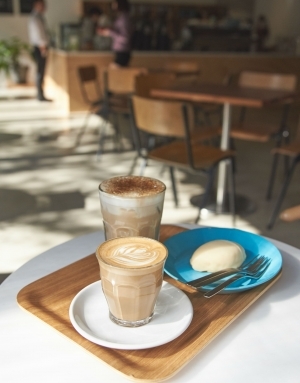 Its frothy lattes and pastries are a nod to both the eponymous Swedish coffee break and Japanese coffee culture. From there, it’s time to get steamy. 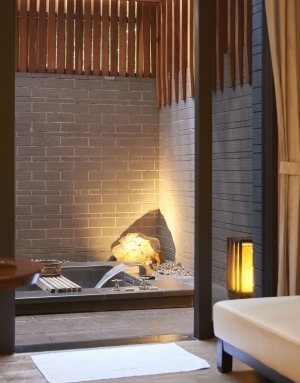 Head to the mountainous Beitou District in the north for their sulphur hot springs. The public hot springs are a cheap and cheerful way to enjoy their therapeutic properties if you don’t mind company. For a more luxurious experience, book at the Grand View Resort Beitou. It’s on the expensive side, but overnight guests have access to the hot springs right in your room (get ready for the softest skin of your life), or you can book a private hot spring room for a block of time without staying at the resort. Now that you are truly relaxed, it’s time to eat! 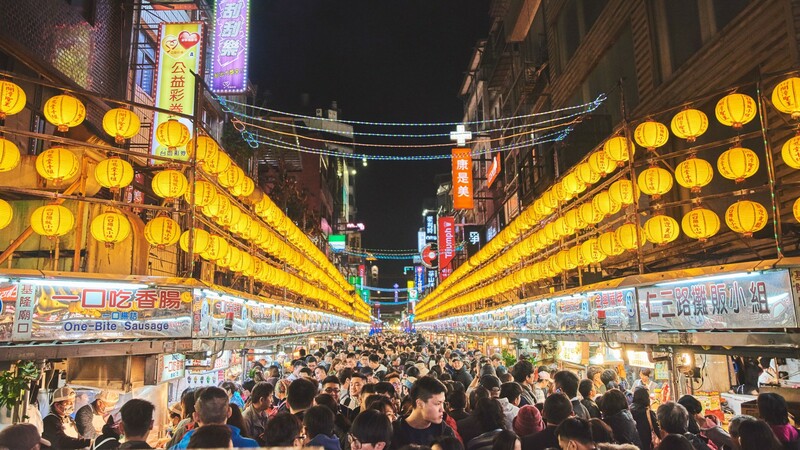 Book a cab or head downtown and catch the 2088 bus to the port city of Keelung (pronounced jee-long) for the local night market. It may be further afield than its Taipei City counterparts, but it is well worth the trip. Illuminated by trademark yellow lanterns on weekends, seafood lovers will enjoy all the crab, squid and cuttlefish at this busy market. If you can find the booth known as the Three Sisters, grab a seat and marvel at the ladies’ speed while you devour plates of steaming dumplings. 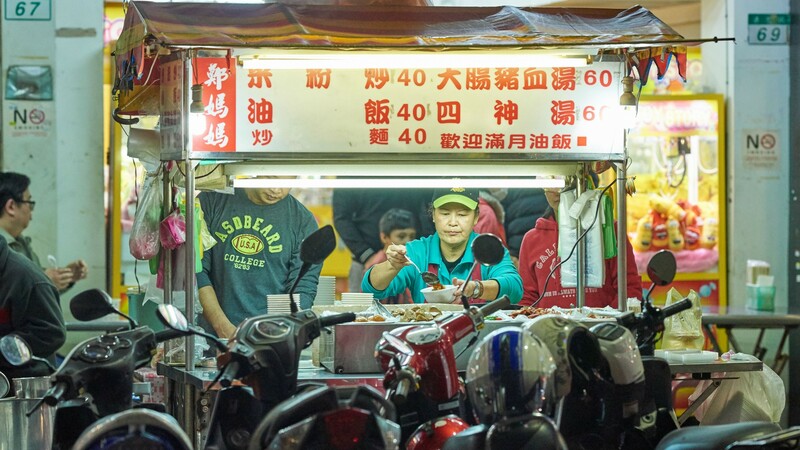 Maybe it is here, surrounded by young and old locals busily eating, shopping and socializing, where you’ll realize that the “what to do” question in Taipei and Taiwan in general is almost inseparable from the “what to eat” question. After all, it is through food, more than anything else, that you will grow to understand the unique cultural crossroads that is Taipei.